I always enjoy your pep talks, but the Youtube videos are blocked by my internet filter. Is there any way you can post the video like you did until just recently? this is going to sound strange, but my filter is not letting me into vimeo! I have contacted them repeatedly and they say there shouldn’t be a problem, but there is. Do you know of another site to upload videos that you can access? I read in an Ami Magazine article that Rabbi Leib Kelemen says that Laura Doyle’s book are “distorted”. Has one spoken to him about this or have any idea why? He made that statement because she doesn’t mention G-d at all, which is fundamental in a Jewish marriage. loved how you explained so clearly the first 3 steps. waiting to hear the next 3. Laura Doyle doesn’t have the wisdom and power of Torah behind her. Therefore we have to be careful and cautious. But that does not mean she has nothing to teach us. Take the wisdom from wherever it comes. Some frum people will disagree with this. I do plan on featuring her in a future issue of the N’shei Chabad Newsletter. 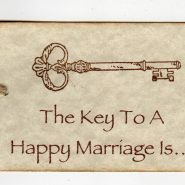 Laura Doyle has great tools for marriage. However, She doesn’t come from a Torah viewpoint, in that she says the point of life is that you should be happy, etc. and doesn’t mention G-d at all in the book. Our Hashkafa is that marriage is holy and G-dly. That being said, her skills are amazing, effective, and user friendly. It helped me greatly. So use her skills, but learn about the concept of Jewish Marriage from a Jewish source. Excelent tips for marriage. We all know the “holy facts ” of marriage yet there are a lot of failing marriages, divorced couples, and unhappy marriages with torah and mitzvot, so it is extremely helpfull to apply this concepts, which by the way are all aligned with torah concepts. All my respect to Chana for sharing this amazing information with us.